Share page: Decide who shall have access to your page. See “Shared by me” for more details. Edit content: Place your content on a page. 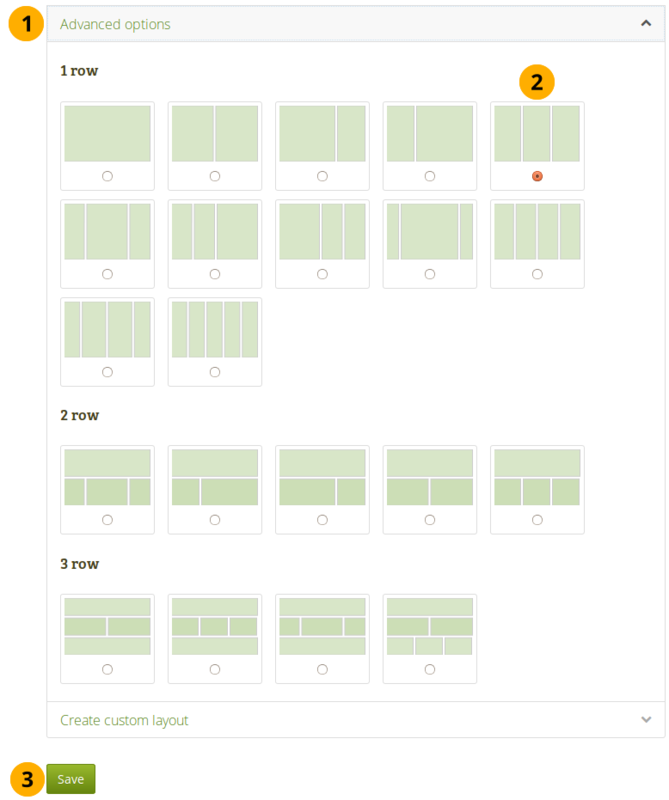 See content chooser, individual content blocks and page layout area. 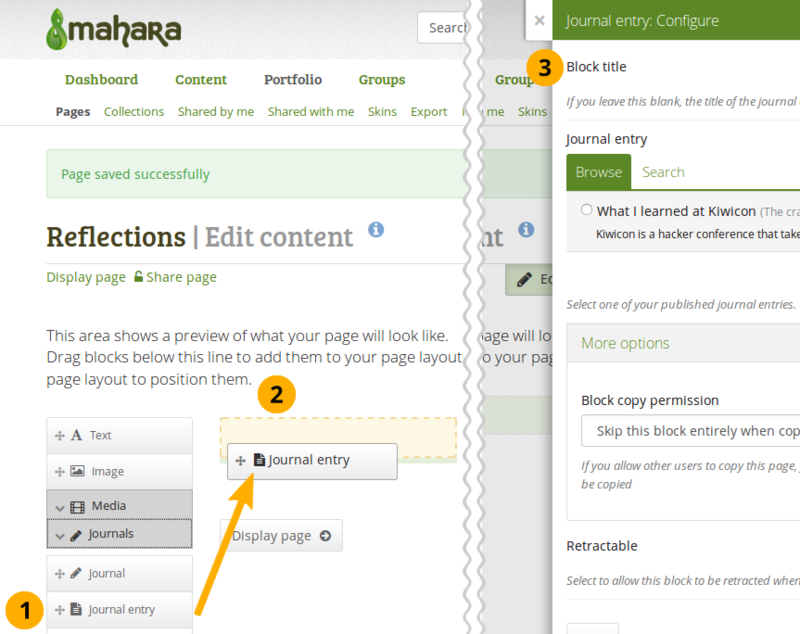 Please see the sections “Create a new page” and “Edit an existing page” for information on how to set up a page. Be careful when choosing 4 or more columns. Your portfolio page may look very good on your big 21” screen, but a user looking at it on a notebook or tablet may not have the same experience. In most cases, up to 3 columns is the best choice. Go to the Edit layout tab. 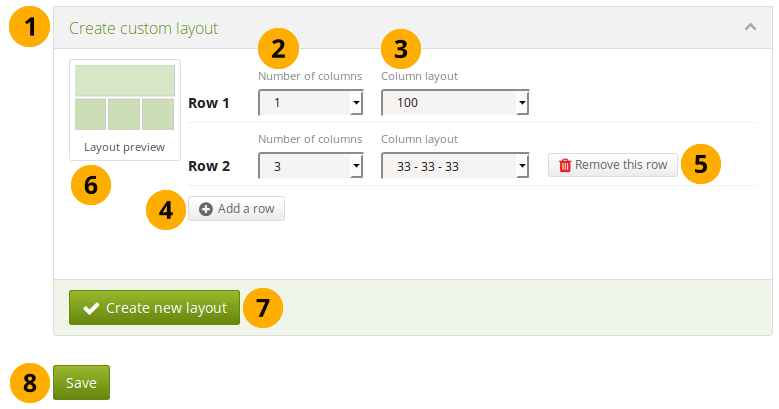 When you hover over the layout options, you can see the percentages for each column. Click the Save button to save your layout choice. Click the Save button to return to the content editor. to remove a row if you do not want it in your layout anymore. 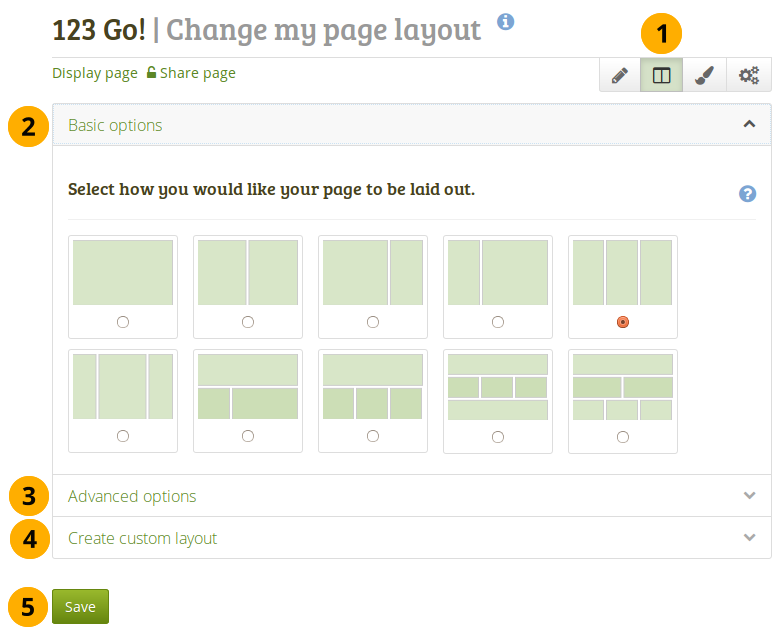 Click the Create new layout button to generate your new page layout. It will be saved in the Advanced options, and you can use it in all your pages. All different types of content as well as blocks that pull in external content into a portfolio page are accessible via the content chooser. The content chooser is available on the left-hand side of a page when you are in the edit mode. It does not scroll. Thus, it makes it easy to add content items also further down on the page. 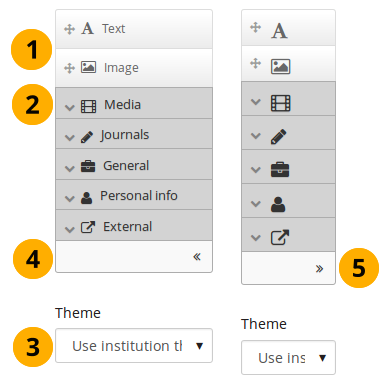 You can select the Text or the Image block directly as these are two of the more frequently used content items. Click the arrow pointing to the left to reduce the size of the content chooser. Only the icons will be displayed giving you more space on a page. Click the arrow pointing to the right to show the block descriptions in the content chooser. The content chooser is displayed per default only with its icons shown on small devices to maximize the screen size that is available to edit a page. The content is arranged as a series of continuous blocks per column. You can also align it vertically in rows if you wish. Click on the block of the content item that you want to include in your page and drag it into the page layout area. Follow the on-screen instructions on choosing the specific content item you wish to display. Please refer to the content block section for more information on each block’s settings.